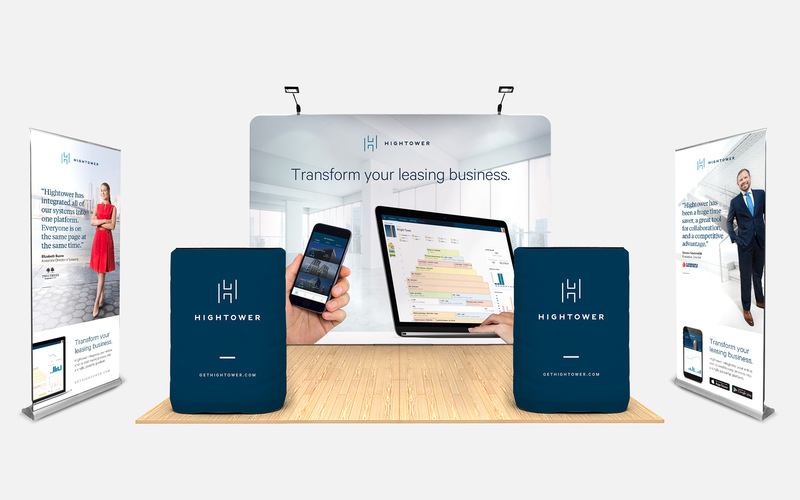 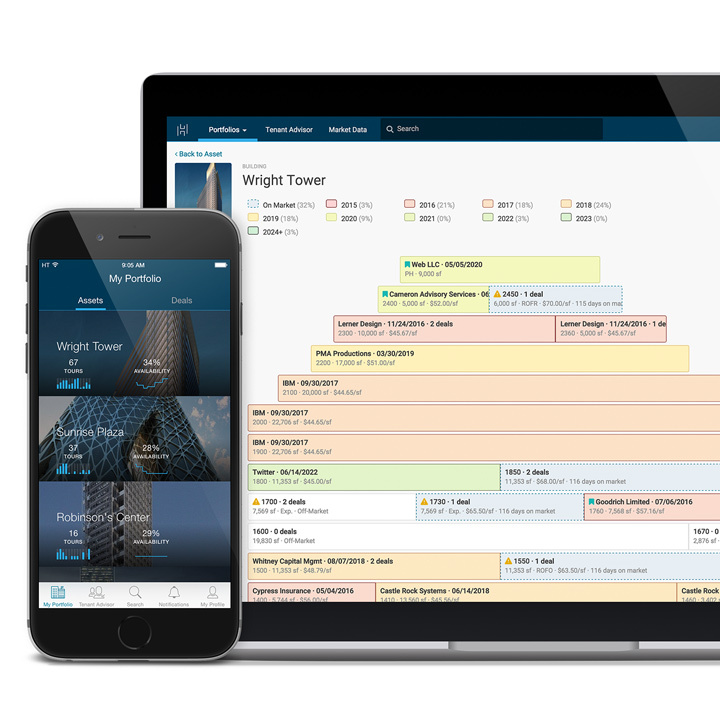 Hightower creates enterprise software catering to a commercial real estate industry worth 15 trillion dollars. 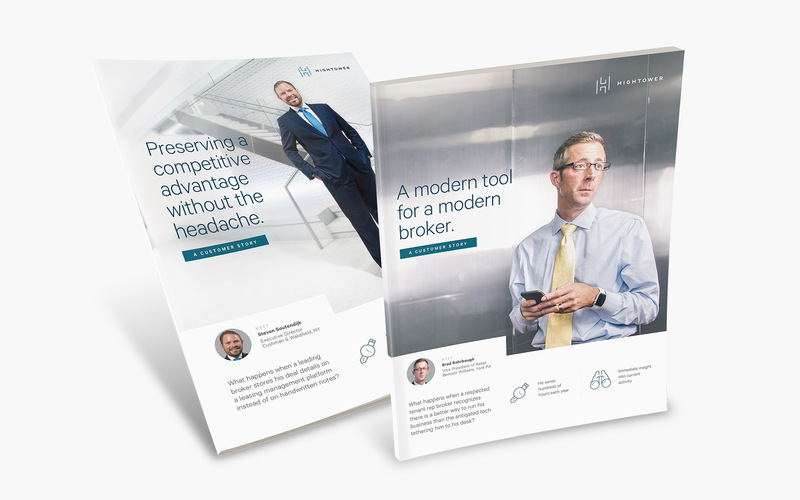 As Creative Director I championed a total rebrand, forging a new identity and marketing strategy across multiple touch-points, and showcasing successful owners and brokers to speak to the premium nature of the Hightower offering. 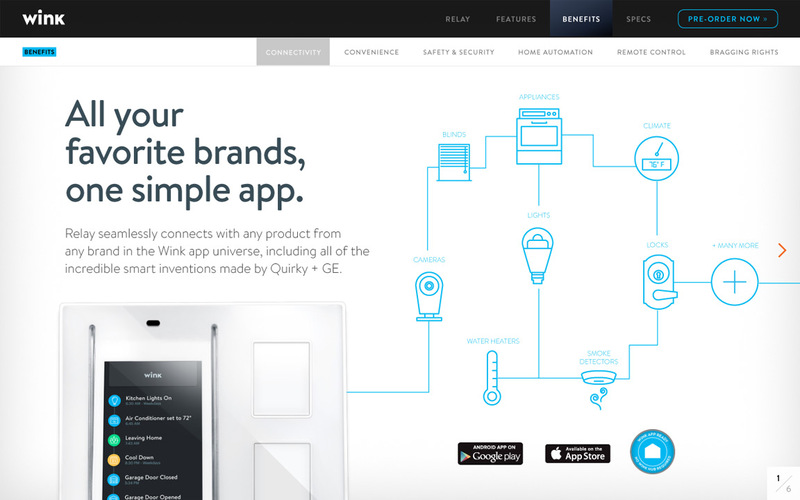 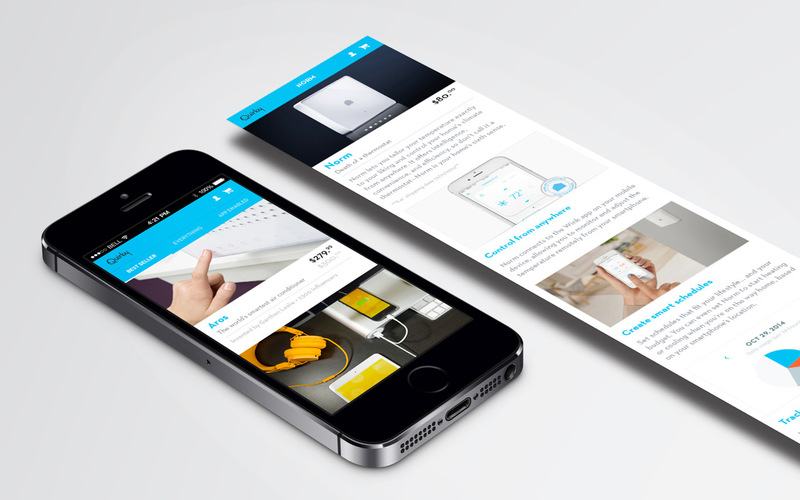 A suite of mobile applications for iPhone, iPad, and Android, to shop Quirky products invented by people just like you. 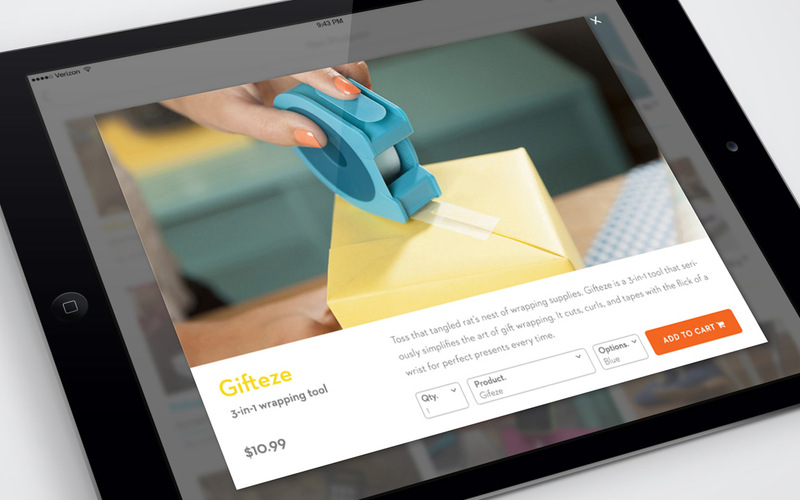 Seasonal and bundle-oriented merchandising were key, so we moved them to the forefront with beautiful and intuitive design that effectively funnels consumers through to purchase. 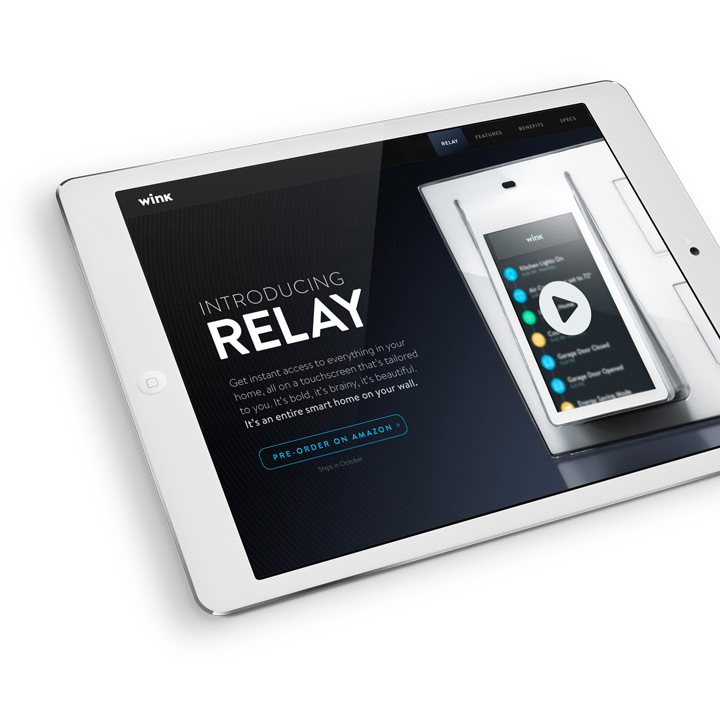 Relay is an innovative touchscreen-centric wall unit designed to replace conventional light switches and offer households unmatched access and automation to their Wink smart home. 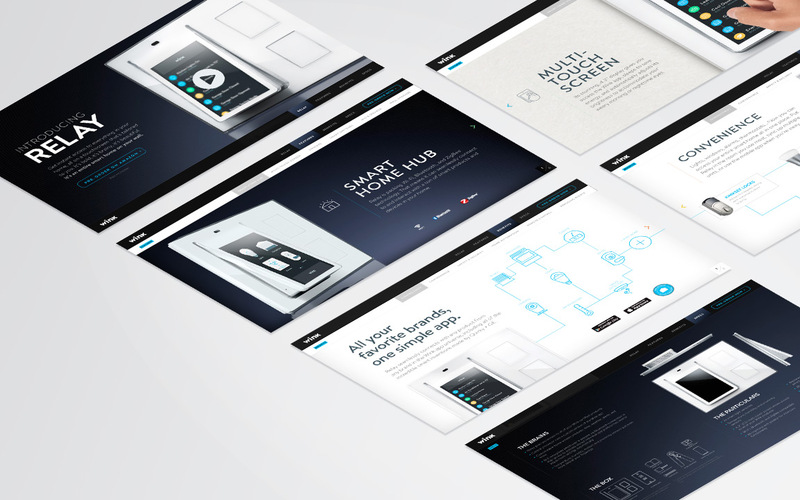 This single-page, responsive experience showcases the technical prowess and sleek beauty of the product, finely balanced with a lifestyle-driven aesthetic that realizes Relay as the center of the consumer's home. 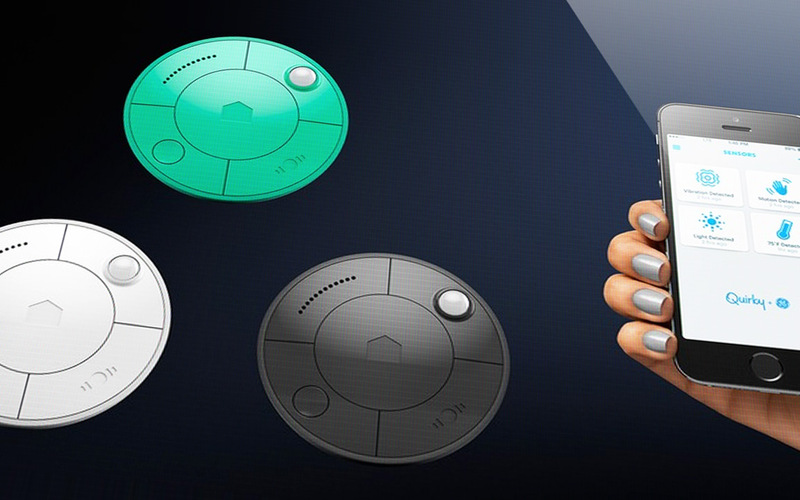 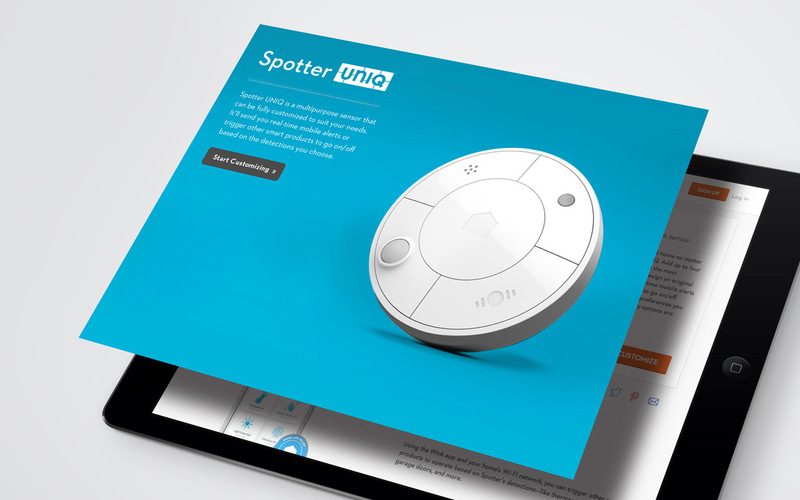 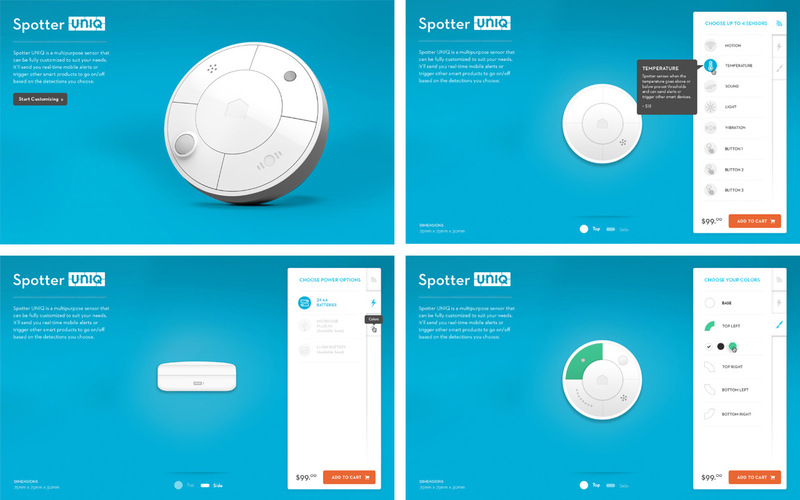 Spotter UNIQ is Quirky's fully-customizable sensor unit, designed to aide the automation of the connected home. 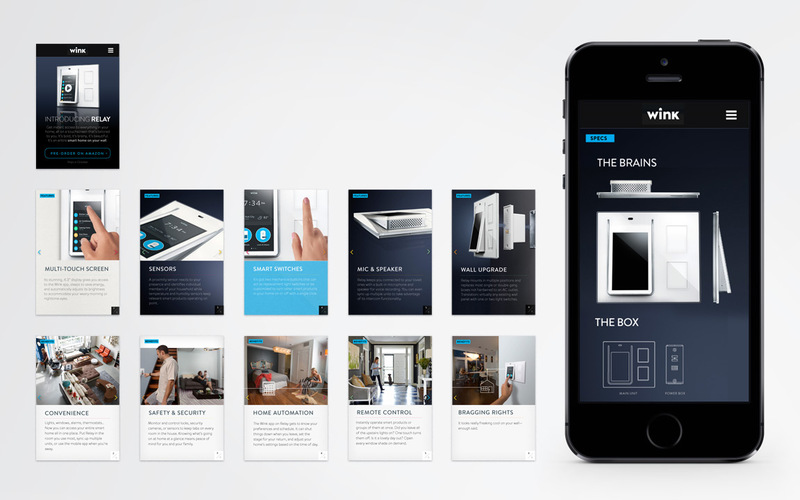 An enticing web app allows consumers to intuitively select the combination of sensors and power options they want on board, and colors to match the decor of their home, all the while offering product education and funneling through to purchase. 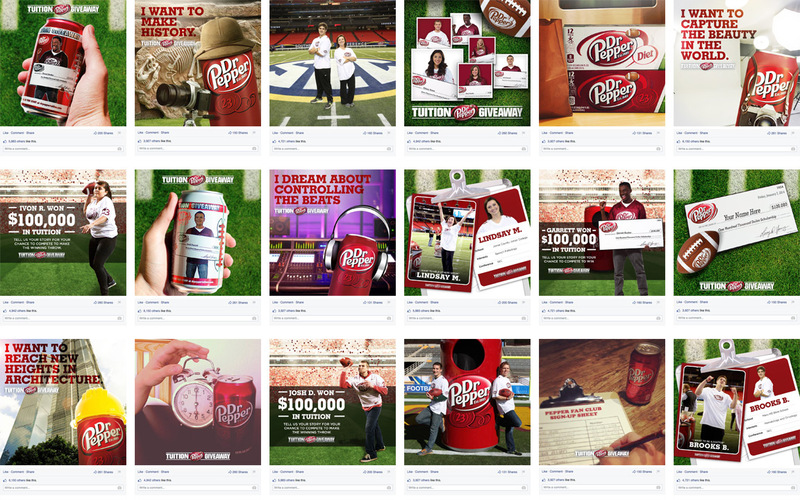 After discovering some celebrities were big "Peppers", already advocating the brand in their huge social networks, we saw a natural content play to tell their "one of a kind" stories. 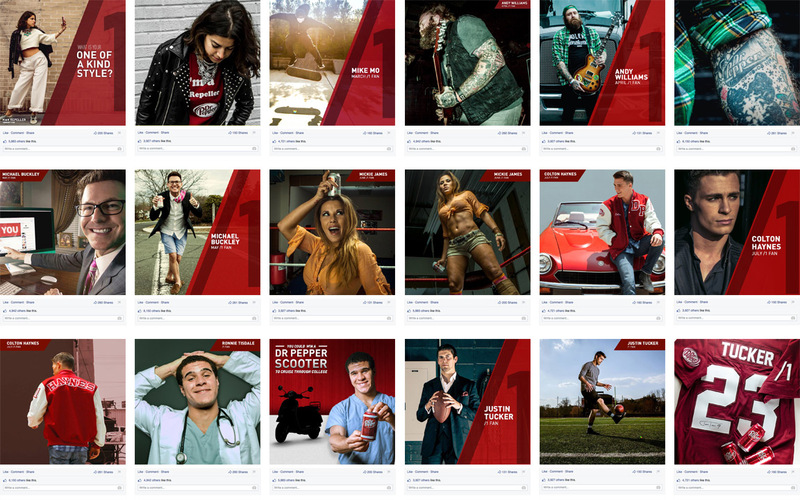 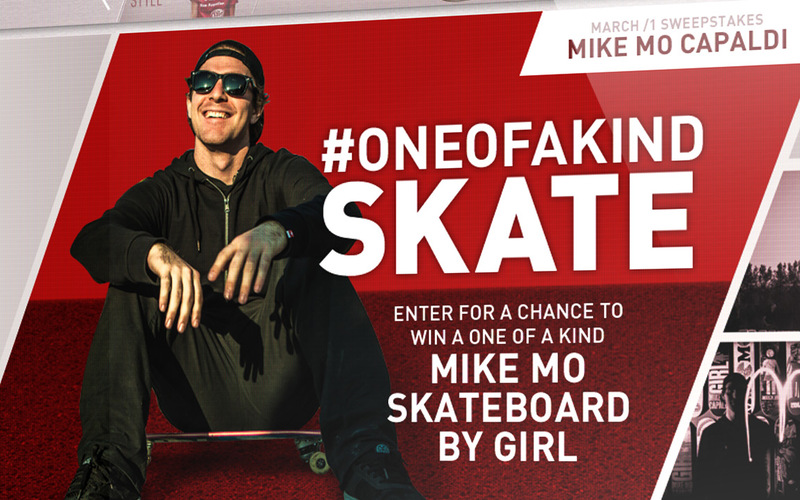 We shot pro skateboarder Mike Mo in 3D, followed WWE wrestler Mickie James' foray into music, and more - A year's worth of rich content housed in an adaptive website, with sweepstakes including a football jersey signed by Baltimore Raven's kicker, Justin Tucker. 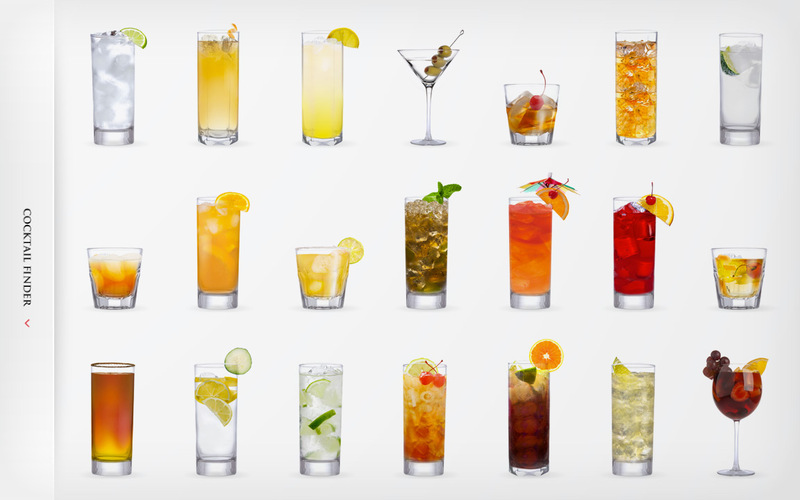 Why give up what you like when 7UP TEN offers the same great flavor in only ten calories? 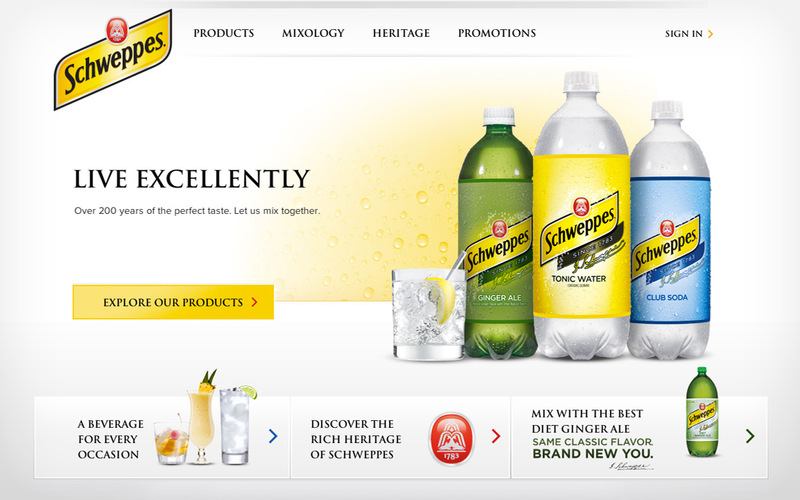 Here we saw a great new years campaign with snarky comedian and talk-show host, Chelsea Handler. 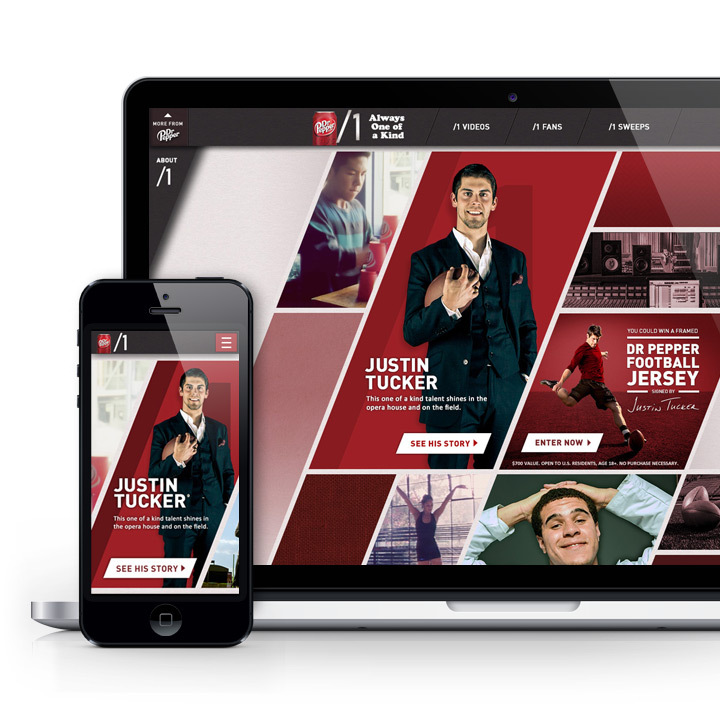 A responsive website hub housed a series of ten roast videos, with Chelsea telling consumers exactly where to stick their resolutions before plugging the product and providing social tools to roast their own friends. 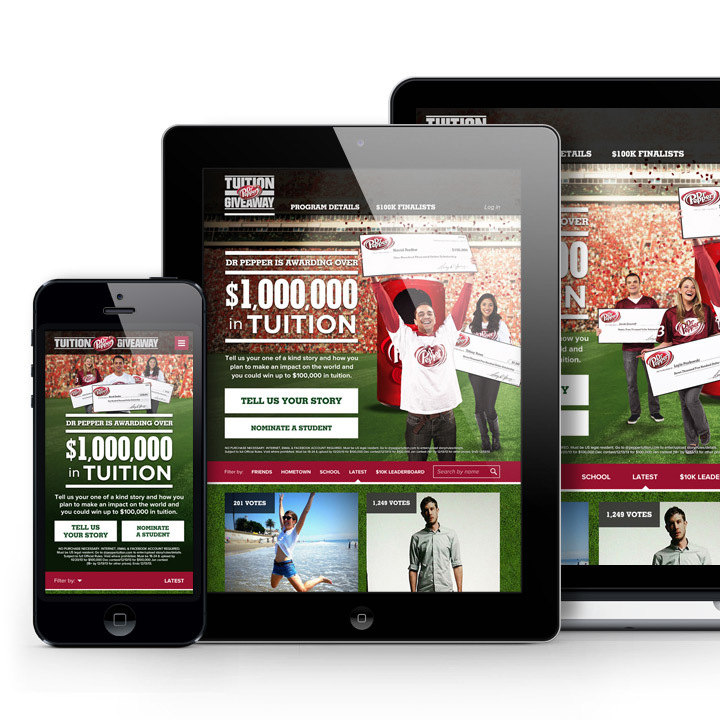 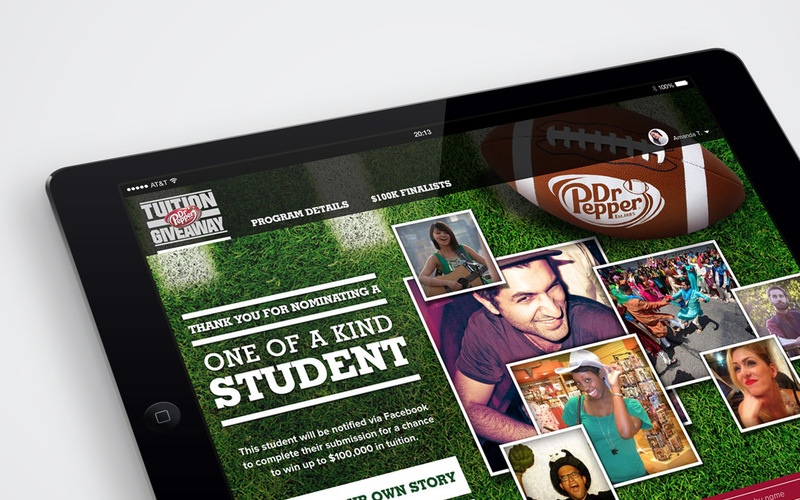 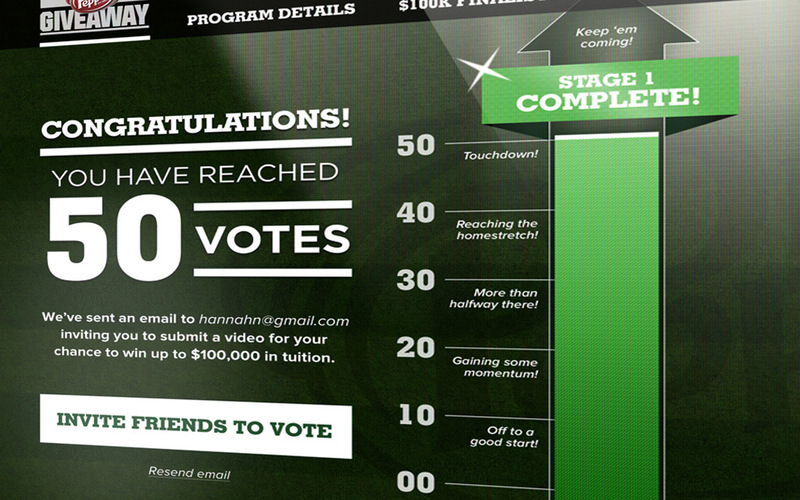 Dr Pepper’s yearly initiative where the brand contributes $1 million towards educating aspiring college students. 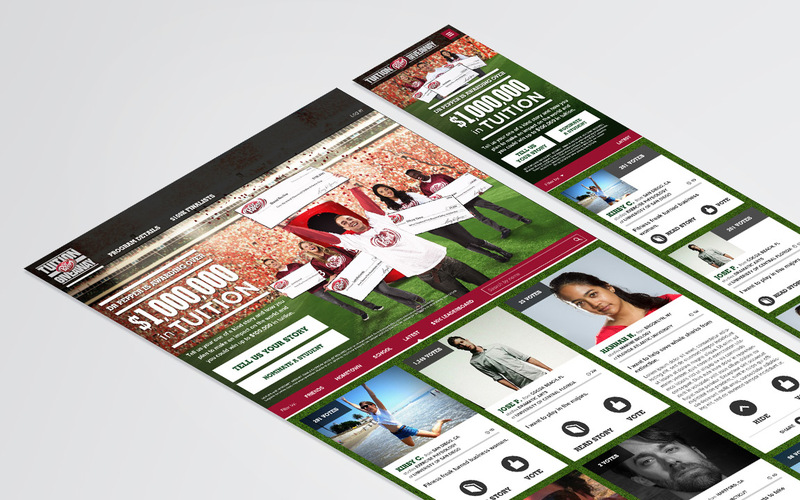 A responsive website allowed consumers to enter via mobile for the first time, and our recommendation to decrease the barrier-to-entry via a social text submission mechanic, saw entries increase to 26,700 - up 1600% from 2012. 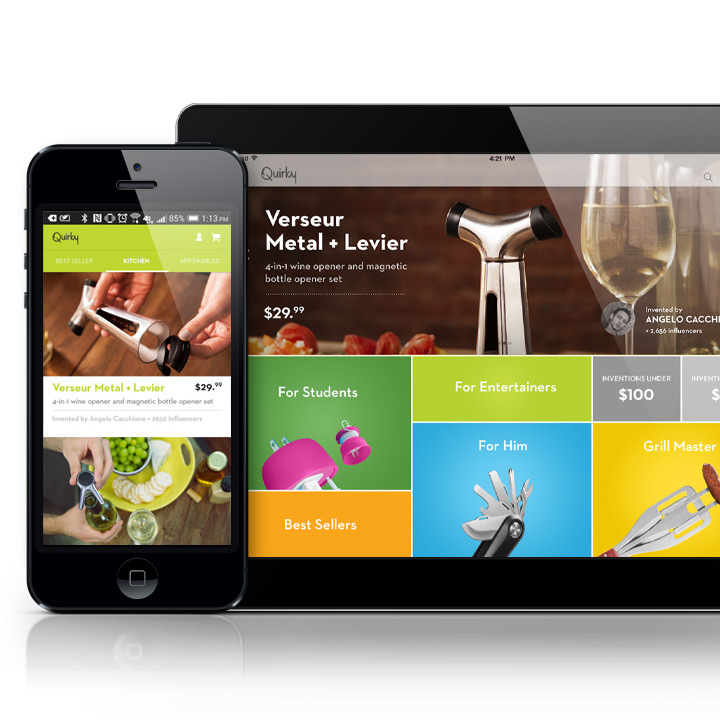 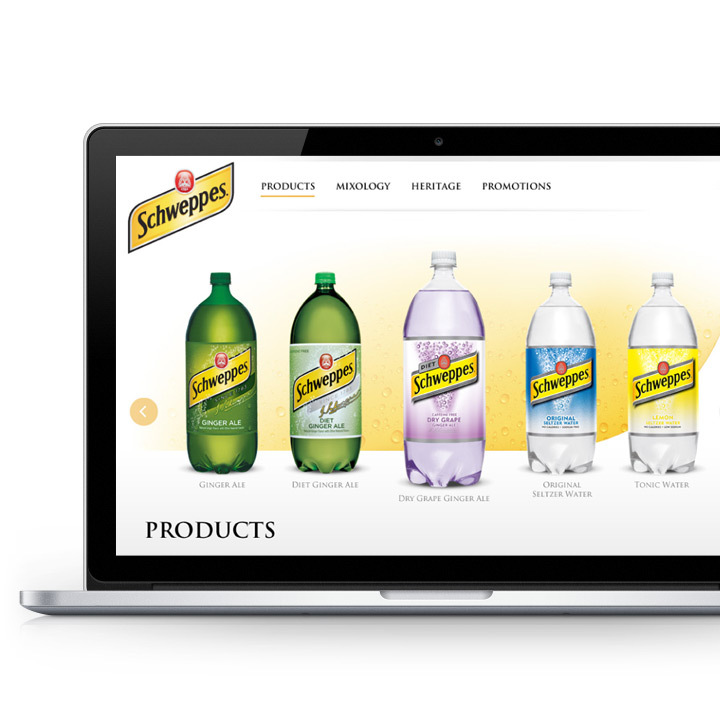 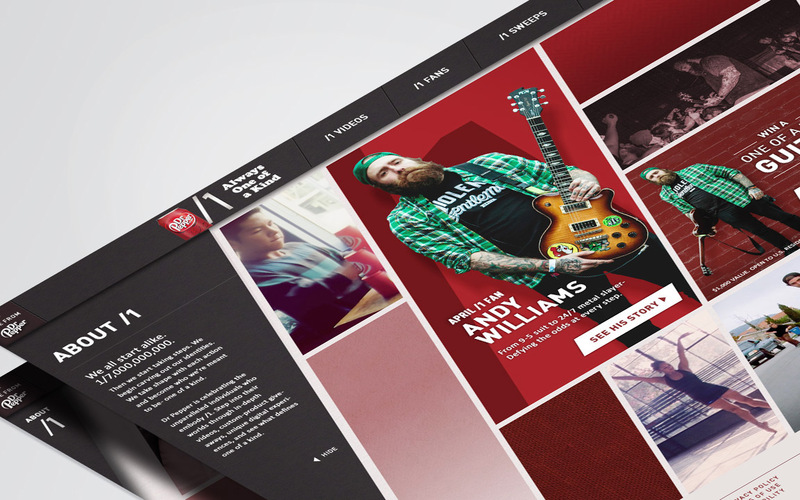 Schweppes approached us with a limited budget and a site that had been up for 10 years. 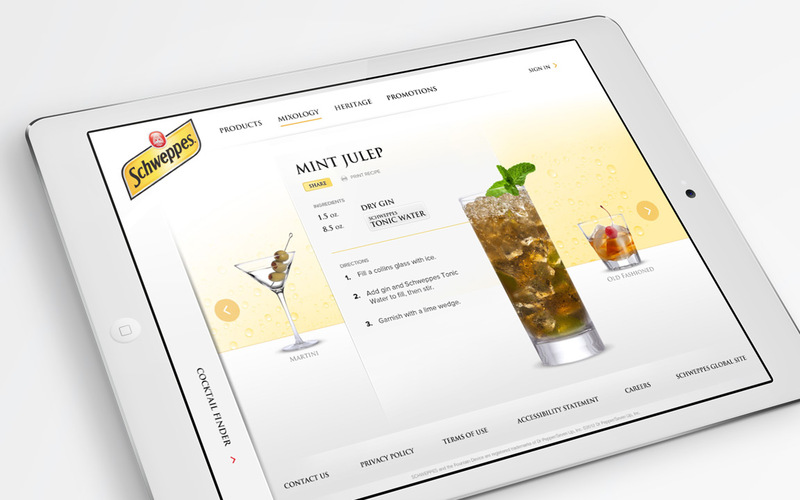 To bring value to their online presence, and knowing their products as a staple in the mixology world, we devised a Cocktail Finder allowing consumers to match their favored alcohol and Schweppes product, mixing the perfect cocktail suitable for any season. 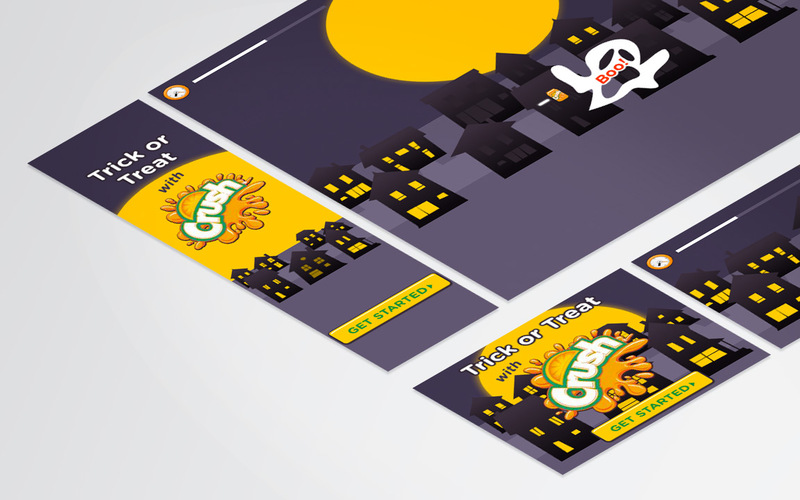 A series of Halloween-themed rich media ad units for Crush, encouraging kids to play a game of Trick or Treat and fill their sack with their favorite soda. 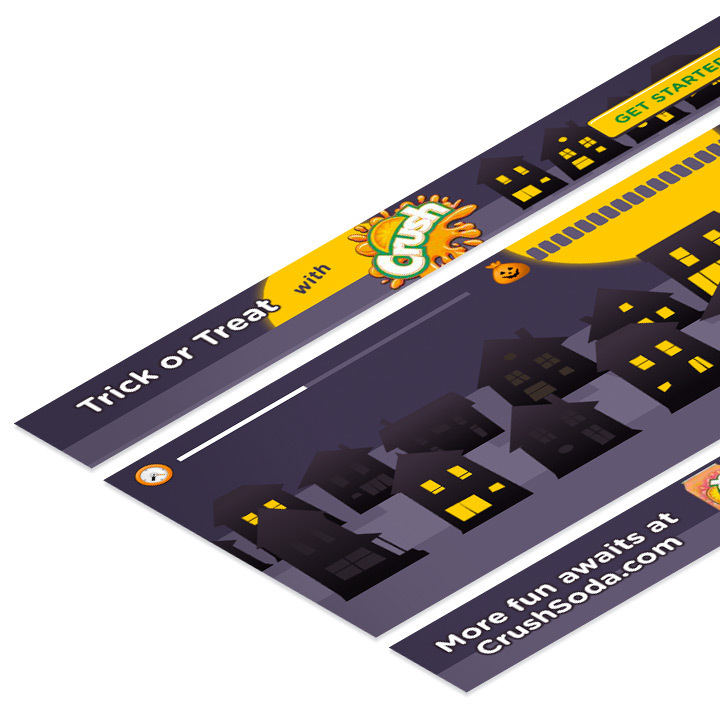 But beware, the dark houses are host to frightful ghouls! 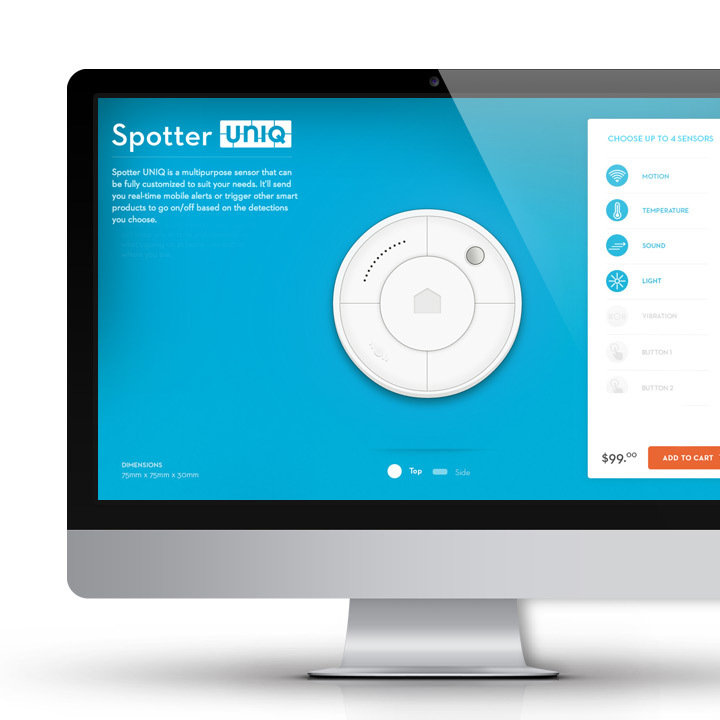 The resulting game tests childrens' reflexes and hand-eye coordination in a fun and involving way. 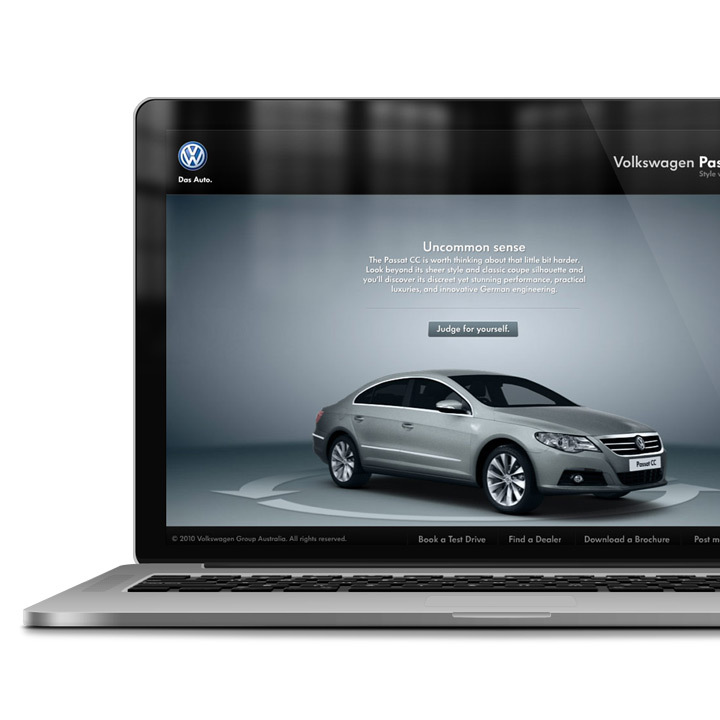 A beautifully-designed experience for Volkswagen offering a deep educational and aspirational dive into the Passat CC model. 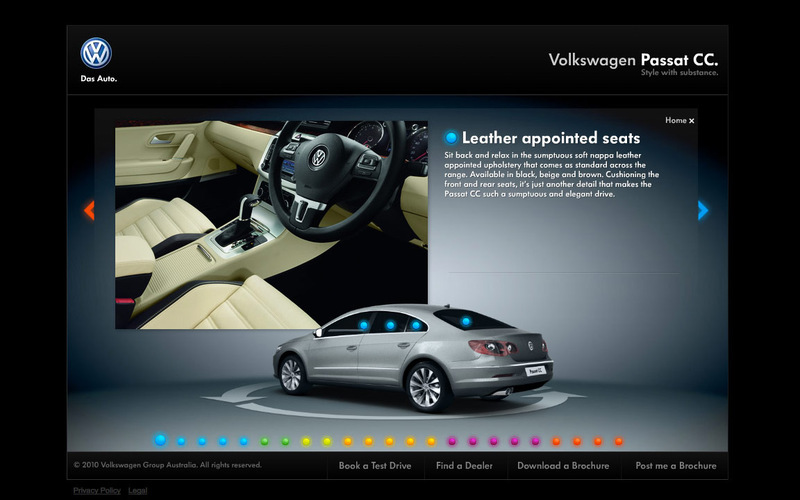 The turnstile functionality affords the user a hands-on approach, spinning the car to reveal numerous hotspots which prompt detailed images and descriptions of innovations, technology, and optional extras.